Would Living on a Boat Work For You? There's no doubt that living on a boat is more of an art than a science. It requires a certain approach to life that would be a step too far for many people, but for those prepared to accept change and make a few compromises, the resultant liveaboard lifestyle can be richly rewarding. And compared to living ashore it can be relatively cheap. So living aboard a boat can be cheap and rewarding. Got your attention? Of course, that nine-to-five pensionable office job will have to go, but there are other ways to earn a crust which we'll get to later. And many of the more fashionable contents of your shoreside wardrobe will become redundant - and the car too, you won't need that. A fold-away bicycle might come in handy though. Other things you'll definitely be pleased to see the back of when you become a boat liveaboard include TV license fees, telephone charges, utility bills and community taxes. But before making the break from the comfortable status quo, living on a boat needs some careful thought. Unless you've managed to stash away a substantial sum and are happy to live off it, you'll need to find a way of financing your new life aboard a boat. If you own a house, then leaving it empty while you're living on a boat for long periods can be a lost opportunity as well as something of a risk. Much better to have a paying tenant installed than having a bunch of squatters move in, or find that the roof has collapsed when you eventually return. If you rent your property to a tenant, my advice would be to always do so through a professional Letting Agency with a proven record. 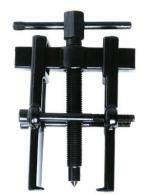 Can you play a musical instrument really well, and ideally sing too? Then the upper-end bars and restaurants may well be willing to shell out a few dollars to have you entertain their guests. Professional people (as opposed to skilled manual workers) are usually less fortunate; their skills are not usually locally transferable. One approach for professionals is to alternate between living on a boat during the most clement part of the year and working on a self employed contract basis ashore during the other. The Caribbean lends itself very nicely to this approach, as life aboard a boat is pretty idyllic between November and May, but not without its worries during the June to October hurricane season. There are several good haul-out facilities that are set-up as far as possible to withstand a hurricane's onslaught. 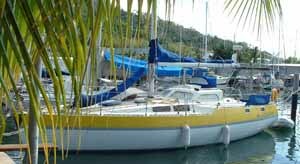 The ones we've used include Powerboats in Trinidad, Jolly Harbour Marina in Antigua and Spice Island Marine in Grenada. I have a love/hate relationship with my computer. Love it because, together with an internet connection, it's such a valuable asset. Hate it because of the hours I spend banging away at it, which is exactly what living on a boat is not really about. If you have a story to tell (and you will have if you're enjoying life aboard a boat) and can string a few words together, then you may be able to persuade a magazine to buy it from you. Don't be dissuaded if your article is rejected, just keep trying. Most if not all of these publish their magazines in both printed and on-line forms. Click on the links to find their 'Contact Us' form - it's usually at the top or bottom of the page - and go from there. Remember that these magazines will always be on the lookout for good quality and original digital photographs - particularly cover pics - and will be willing to pay for them. Important Tip: Before making contact, go to the magazine's website and find their 'Guidelines for Writers and Photographers'. These will tell you the type of article they'd most likely publish, together with some advice on how to write it. One way of being sure that your article will be published online is have a website of your own and upload it to that. But how can you make any income out of that I hear you ask? In all sorts of ways - and here's how! Perhaps you don't want to develop a full-blown website (like this one) but, like many other cruisers, you already write a WordPress blog to keep your family and friends up to date with your cruising exploits. But did you know you could use your blog to provide substantial contributions to your cruising budget? Very recently a new WordPress Plugin has been developed which will help you do just that - so get blogging! Writing a hard cover book is fairly straightforward, but getting it published is another thing entirely. Believe me, I know! At best it's a long and painful process and at worst - after all that time and effort - you may not get get it published at all. But eBooks are different. Providing you know your subject, you can sell them much more cheaply than a comparable hard-cover book - and make more out out of it too. For example, my eBook, 'Secrets of Sailboat Fishing' sells for $4.99 whilst my hardcover book on the subject cost around five times that. And it's the publisher that sets the price, not me. 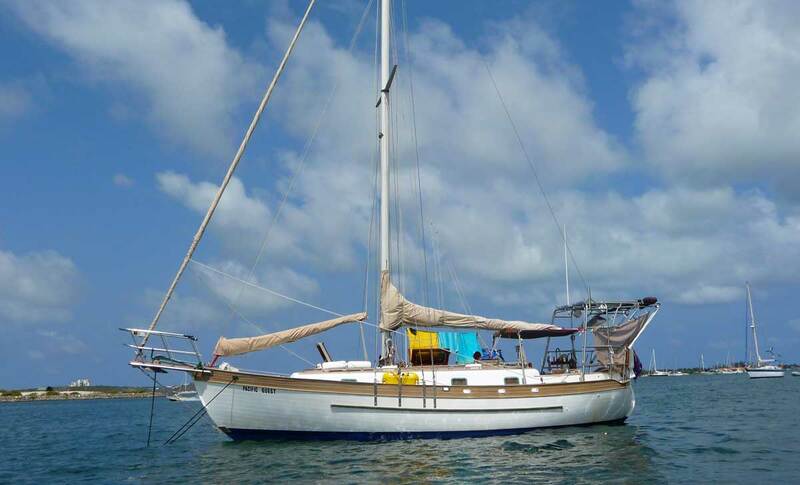 Does living aboard a sailboat appeal to you? There's not much point in living on a boat if, through necessity, you spend most of the time hooked-up to water and electricity supply in a marina. To give yourself the freedom that boat living can provide you need to be as self-sufficient as possible, and live on the anchor whenever you can. 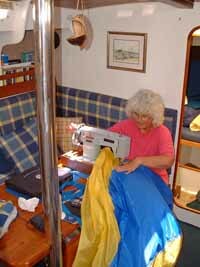 For example, all liveaboard sailors should be capable of carrying out routine servicing and maintenance on their boats. Solar panels will do the job in the daytime, and wind generators will perform irrespective of daylight but need a few knots of wind to get fired up. You need both. You may have to use your engine driven alternator on cloudy, windless days but if you're like me you'll want to avoid using expensive fuel unless it's unavoidable. Who said you can't drink seawater? Well you can if it's been through a reverse osmosis plant. Of course it's no longer seawater then, but pure drinking quality freshwater. These marine watermakers are great to have on a live aboard boat, but why not catch rainwater also? It's really easy to either make a bespoke rainwater catcher from canvas sailcloth, or devise a system using your bimini or boat awning. We managed to obtain a second-hand Reeds Sailmaker at a very reasonable price which has all of these features, and has served us admirably for a number of years. We've used it to make our sprayhood, dodgers, winch covers, deck awning, series drogue, hatch screen, wind scoop, cockpit cushions, mainsail cover and other canvas covers around the boat - so it's certainly paid for itself a few times over. But do we have any regrets about living aboard a sailboat? 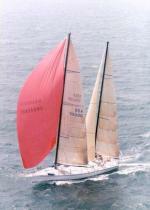 If you like what you read on these pages, you're sure to enjoy my book 'Offshore Sailing'. 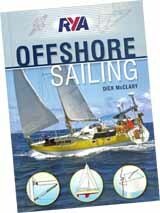 Published by the RYA (Royal Yachting Association) and with a foreword by Mike Golding of Vendée Globe fame, it contains much of the information on this website and more besides. The best advice for living on a boat?